The ancestors originated in Moravia and not as has been bruited about - Hungary. Ida, maternal grandmother of Senator Kerry, was born to Siegfried Löwe and his wife Josephine, née Löw, married 10. 3.1870 in Brno, Moravia, moving shortly afterwards to Vienna, were Siegfried, born in Usov, Moravia, had already established himself . Siegfried Löwe born in Usov September 12th, 1834, son of Leopold Löwe, already deceased - unfortunatrely the records of this town no longer extant - we therefore know nothing about his father except his profession: beer brewer. But we know that a Jewish community existed there since 1450 and numbered about one fifth of the whole population in 1880.
the oldest son of the family was born 1817 in Mährisch Ausse (now Usov in Moravia). 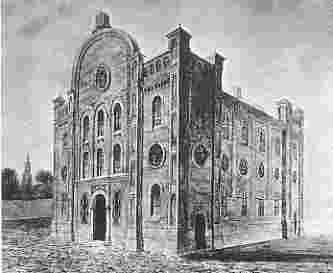 Between 1848 and 1870 he emigrated to London and was there Rabbi of the Jewish Community in Paddington. 1871 he was married. - Robert Leopold Löwy was born in Vienna on January 23rd, 1872. Later, he moved to his uncle to London. - Rosalia was born in Vienna on July 18th, 1876. - Felix was born in Vienna on November 24th, 1877. As his older brother, he also emigrated to London and lived there in the Frognallane. On December 22nd 1948, he got the British Citizenship. in 1890, the family lived in the Weihburggasse 4, in 1900 in the Reithlegasse 9. Wilhelm died in Vienna on May 22nd, 1912, his wife Emma Friederike on December 28th, 1928.
born in Usov on February 28th, 1831. soon he moved to Baden south of Vienna. On August 18th, 1867 he married in Vienna Ernestine Spitzer, daughter of deceased merchant Carl Spitzer and Regine nee Schiec. Ernestine was born in Vienna on March 12th, 1845. The second assistance was his uncle Albert Löwy. the only daughter of the family was born in Mährisch Aussee in September 1822. She married Markus (also Moritz) Wassertrilling. 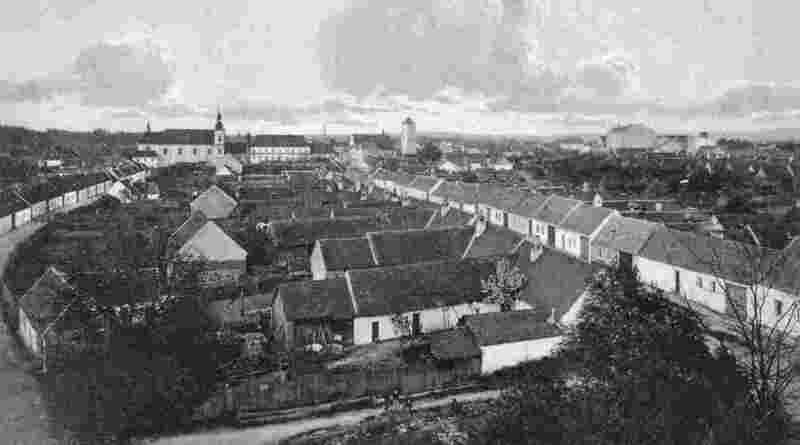 Markus was born in Boskovice in September 1820. The family lived in Brno, Große Bäckergasse 10. On May 10th, 1897, they changed the surname to Wallner. The only known son of this family was David, who was born in Boskowitz on May 3rd, 1858. David was a merchant in Vienna and married there on December 13th, 1891 Rosa Tauber (born in Vienna on August 19th, 1870). Josephine Löw was born in Boskowitz 89, now Boskovice, Moravia; she was the 8th child of Benjamin Löw and the 4th child of her mother Betty Löw, née Spitzer. Benjamin Löw most likely was born as son of Benjamin Löw (+ 24. 4.1839) who with his first wife Breindel had the following children in Boskowitz. Benjamin died in Brno on July 27th, 1876 because of his age. Elka * 07.01.1832 Elka, also Emma, married in Brno on May 6th, 1856 to Hermann Flamm, born in Vienna in 1823. Luna, also Mina * 30.11.1841 Mina married in Brno on June 23rd, 1863 to Franz Spitz, born in Boskovice in 1833. Maria married in Brno on Juy 4th, 1865 to Hermann Tugendhat and died in Brno on March 16th, 1912. Hermann was born in Bielitz on February 24th, 1834 and died in Brno in 1903. The family lived in the Altbrünnergasse 15 in 1870, and in the Pilgramgasse 1/3 in 1880. - Klara, born in Brno on July 2nd 1866, married in Brno on June 20th, 1886 to Moritz Meiler. - - Benno, born in Brno on September 23rd, married in Brno on December 15th, 1924 to the catholic Wilhelmine Herrnritter, born in Brno on February 2nd, 1903. - Richard, born in Brno on October 8th, 1879. 1909 till 1915 he worked as an Engeneer in Moravsky Ostrava. - Leopold, born in Brno on February 12th, 1882, married there on November 12th, 1912 to Terezia Ziegler, born in Brno on August 28th, 1889. They lived in the Falkensteinergasse 46. Jews first chronicled in Boskowitz in 1343; here too they provide about one fifth of the general population. One surmises that the first Jews rsided in Strassnitz already before 1300; the Jewish portion of the Strassnitz general population of 1880, was about 10 percent. Siegfried & Ida Löwe were married at the synagogue in Brno 20. 3.1870 and immediately moved to Bräunerstrasse 5, Vienna, 1st district. A possible brother of Benhamin Löw was Samuel, born in Boskovice in 1809. He married in Boskovice on February 2nd, 1833 to Franziska, born in Kremsier. Samuel died in Brno on January 8th, 1891. They had 3 children: Bernhard, born in Kremsier in 1840 (died in Brno in 1881), Bertha, born in Kremsier in 1841, later married to Löwenbau, died in Brno in 1895. The second daughter Pauline was also married to a Löwenbau. First child of this union born 4. 4.1870 in Vienna: Lina/Linda - the father listed as commercial agent but already by the next year as exporting merchant; this led him to Budapest where 4 further children were born. Otto * 07.01.1875 + June 29th, 1943 in the Concentration camp Theresienstadt, now Terezin. Siegfried Löwe only returned to Vienna in 1883, having professionally advanced to a position in a bank - her resided in Vienna's 3rd district, Reisnerstraße 42; moving as employee of the 'Länderbank" to Parkgasse 3. also in the 3rd district. His wife Josephine died 17.11.1897 of bronchial complications, aged 52 years. Siegfried Löwe moved to the 7th district of Vienna, Zieglergasse 73, where he remained until his death at 83 years of age in 31. 3.1918, of pneumonia. Of his children only 2 were married - Ida espoused Friedrich Kohn (see previous family listing) and Linda married Wilhelm Schloss 16. 3.1902 by Jewish rites on 16. 3.1902; with issue Lilli Josephine born 9. 3.1903 and Leopold born 6. 5.1905; both again were married in Vienna - Lilli to Erwin Goldschmied, 27. 5.1923 and Leopold to Kitty Grünwald, 16. 9.1927. Further data not available because of data protection. Two family members murdered by the Nazis in extermination camps. Felix, born in Budapest on October 6th, 1873, a Lieutenant in the Reserve Army, died in Vienna on March 19th, 1935 of heart-failure. Jenny and Otto too were not married; directly from their apartment, Sterngasse11/16, on 13. 8.1942, they were deported to the camp "Theresienstadt"; here Otto was murdered on 29. 6.1943, and Jenny vanished into the horrors of Treblinka.